Chet is a disgraced police trainee dropout. After failing miserably his final exam, he became a PI and is now investigating crimes ("mostly missing persons") in California. He's got a great nose for criminals and an unfailing ability to size people up. He can follow a trail across the desert and back but sometimes has trouble communicating his findings. Illiterate? Autistic? No, dog. 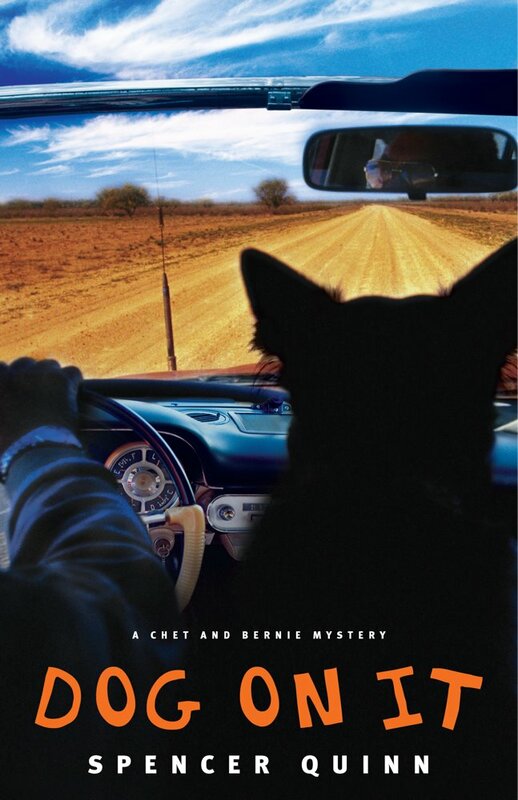 Chet's favorite things in life include riding shotgun, catching perps, and hanging with his best buddy Bernie (who usually drives, though I'm certain Chet could step up if need be). And he's a great storyteller, from the first page of Dog on It to the last. This series by Spencer Quinn is flat-out charming, and that's something that's not too easy to do well. 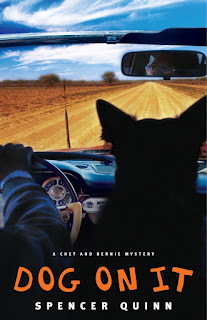 The writing is snappy, the plot is engaging, and the whole experience of reading makes you think, along with Chet, "Is this a great life or what?"